Are you ready to purchase a piece of home gym equipment that will finally get you into shape? If you’re like most people, you don’t have an entire large room to dedicate to a home gym. Many people love ellipticals but don’t think they can purchase one because they are notoriously gigantic. Don’t resign yourself to a gym membership that you won’t use just because you don’t have much space. Not all ellipticals are mammoths. Today’s compact elliptical machines offer you the great benefits and features of the machine you love without taking up too much space. Due to their popularity, small elliptical machines are now easy to find on the market. But, which one should you choose? What features should they include? Why should you even choose an elliptical in the first place? We’ll cover all of this and more in this complete guide to compact elliptical machines. An elliptical is an exercise machine that allows you to get in a cardio or weight loss workout. When using an elliptical machine, you walk in a circular motion. Most machines allow you to go either forwards or backward, allowing you to target different sets of muscles. In addition, most elliptical machines also include an upper body component. Your arms move back and forth, also supporting the motion of your legs. This means that when using an elliptical machine, you get a full-body workout. There are many benefits to using an elliptical exercise machine. This type of machine, like recumbent exercise bikes, allows you to workout without pounding your joints. With an elliptical, you get low-impact exercise along with all of the weight loss, heart and muscle benefits. A compact elliptical machine is ideal for those who have joint problems and for any person interested in home fitness. The downside of most elliptical machines is that they are quite large. However, the home fitness industry has developed a number of high-quality compact elliptical machines that won’t overtake an entire room. These small elliptical machines offer the perfect compromise. You can still get in a great workout without dedicating a whole room to your home gym. There are even portable elliptical machines and folding elliptical machines that you can hide in your closet or take to work! 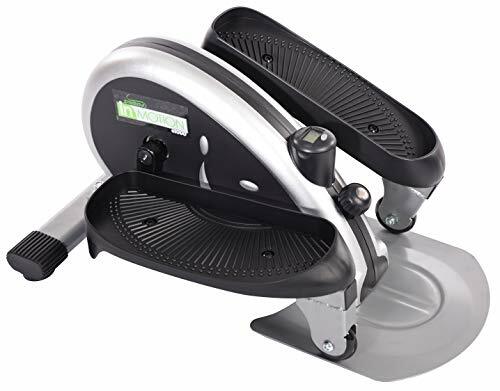 If you have your heart set on the complete elliptical experience that includes movement of the upper and lower body, this Simpfree model is a great choice. With great reviews that give you confidence in the purchase, the Simpfree elliptical trainer will help you achieve your fitness goals. The company, Simpfree sells a few different types of exercise equipment exclusively through Amazon. The company consistently achieves positive reviews so that you can purchase with confidence. While it lacks some of the bells and whistles of other elliptical machines, the price point and quality of this trainer make it a solid purchase. The elliptical offers the basic resistance levels, heart rate tracking and LCD display that make working out and achieving your goals easy. If you’re in the market for a full, but simple and compact elliptical machine, the Simpfree is a great choice. Want to work out while you’re sitting, watching TV or even while you’re working at your desk in the office? The Cubii Pro Under Desk Elliptical is an amazing option for burning calories while you’re comfortably seated, completing your everyday tasks. Making exercise a natural part of your daily life is essential to achieve weight loss and other benefits from working out. 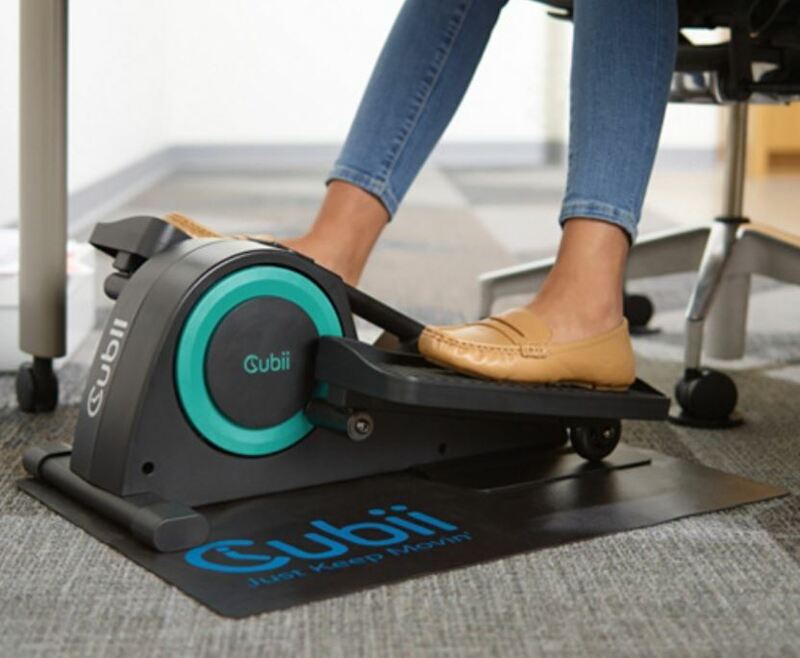 The Cubii removes barriers to exercising by offering a quietly running, well-built machine that slides right under your desk or table. Loved by users, this elliptical connects to your FitBit or Apple HealthKit to help you keep track of your progress and offers 8 levels of resistance as you build your strength. 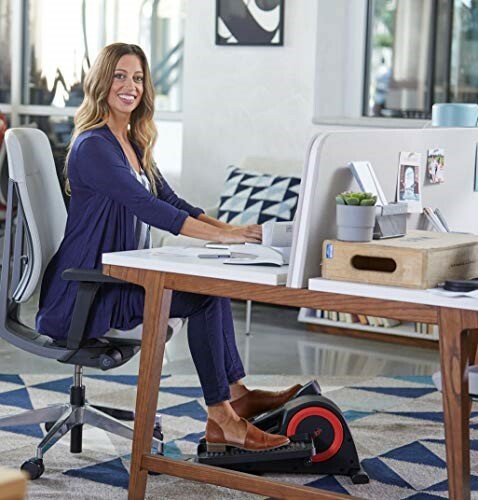 Stamina’s In-Motion Elliptical is a great compact little strider you can tuck under your desk or put in your living room so that you can exercise while sitting. Impressively small, sturdy and effective, you can get great use out of this machine. All of the features of a full size elliptical without the footprint is what the Schwinn 411 has to offer. From the large screen that allows you to use a mixed reality app to the 18 inch stride, impressive 16 levels of resistance and choice of two handlebars, the Schwinn packs in value. With this excellent compact elliptical, you can get a full body workout. The best part? With the app and tray for your tablet or phone, you’ll never be bored while working out. The Schwinn 411 is a great choice in a compact elliptical for those who want a full functioning machine at a fraction of the size. Loved by customers, the Schwinn is the perfect piece of exercise equipment to add to your home for easy cardio that gives you a full body workout. Choose this elliptical for great workouts that offer a comfortable stride and plenty of resistance levels. 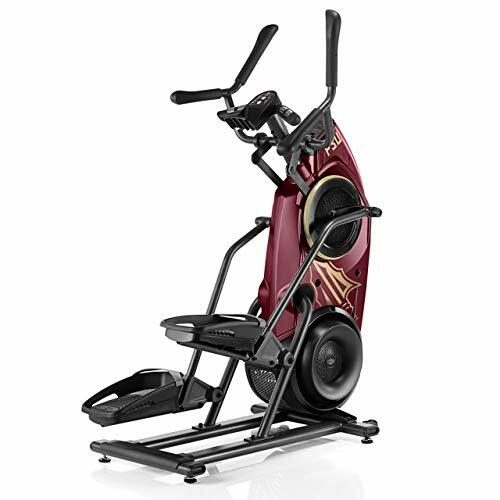 The Bowflex Max Trainer M5 Elliptical is an upright machine that can give you an intense workout within 15 minutes since it contains special programming to maximize calorie burn. For those consumers who have both minimal space and minimal time to work out, consider the spunky and fun Bowflex M5 Elliptical. One thing to consider with the Bowflex Max Trainer M5 is that it is one of the pricier products on the list. On most ellipticals, pre-programed fitness programs are set to at least 30 minutes. If you want a high intensity workout in under 15 minutes, the Bowflex M5 Elliptical should be on the top of your list. 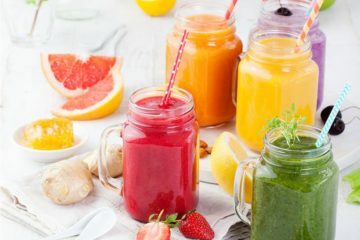 While the fun colors and high intensity workout in under 15 minutes may appeal to many consumers, budget may play a big role in the decision to purchase this product. It is important to consider the pricing and features offered on all of these compact elliptical machines before deciding which is the best purchase for you. The Schwinn 470 Elliptical Machine can really amplify your workouts by making them more fun. For exercisers who need to work out with music and Bluetooth capabilities all while charging their electronics, the Schwinn Elliptical should be their first choice. 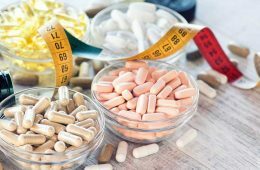 Aside from the bells and whistles, consumers who purchase this machine will have a wide range of programs and resistance levels for various fitness needs that may change over time. If you are not interested in having all the bells and whistles on your elliptical machine, then don’t pay for it! 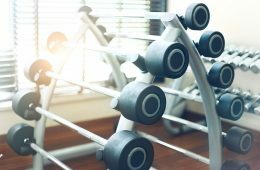 Make sure to always analyze which fitness equipment features you will actually use. Don’t pay for features that are not important to you. 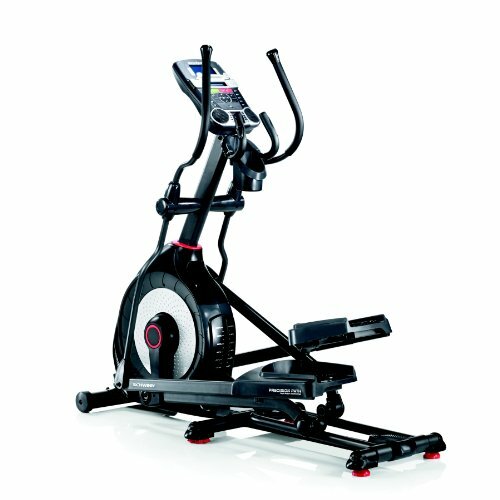 The Schwinn 470 Elliptical contains the most programs and the most resistance levels compared to the other machines on the list. 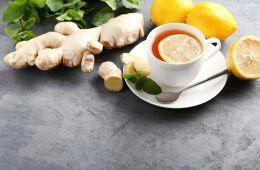 Included in the programs are 4 custom programs to suit your specific needs. This machine also can perform fitness tests so that you can measure your progress over time. 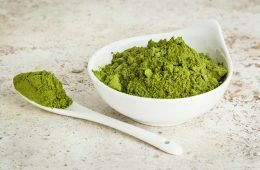 Pricing listed above may only reflect a temporary price for this product (this product was advertised as having a price reduction during the time this article was written. It is important to think about what motivates you to workout. 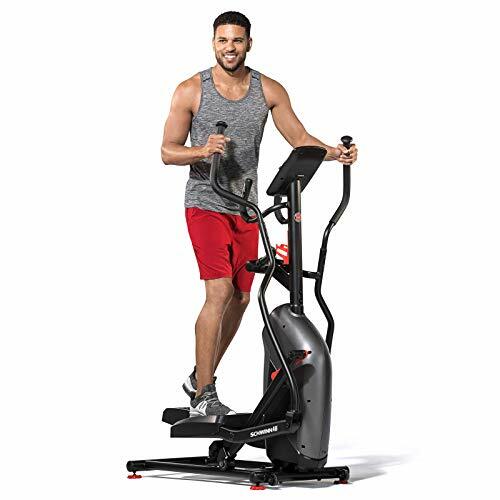 If you need your music blasting and ability to connect with your electronic devices while working out, the Schwinn 470 Elliptical Machine allows you to do that. If you do not need all the bells and whistles, still consider the wide range of exercise features that this machine has to offer. The most obvious benefit? You save space. 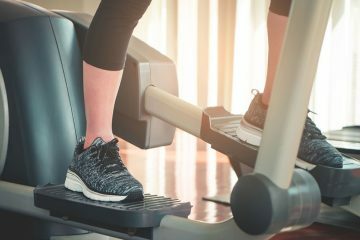 If you don’t want an exercise machine to overtake your living room, bedroom or designated gym area, choose a compact machine and solve this problem. Many of these units can even be stored in a closet so you don’t even have to look at it when not in use. You’ll also be more likely to exercise with equipment right in your home. If getting yourself in gear is your goal, a compact elliptical machine will help you get there. These machines are often mobile and include little wheels for easy moving. Compact elliptical machines are often quite cheap. It’s not like what you get at the gym. Obviously, the smaller footprint of the machine means there’s less space to work with. Usually, this means a much smaller stride than what you’d find on a full-sized machine. While this may not be all bad, it will certainly take some adjusting. The frame may not be as stable as a larger machine. Fewer features are included on these compact machines. Are you ready to choose your compact elliptical? 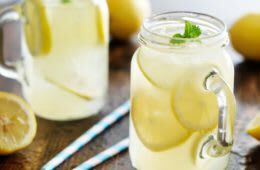 After perusing reviews, you still need to reflect on how to make your final choice. You’ll need to weigh your options based on your needs, budget, preferences and how much space you have at home. The bigger the budget you have, the better quality elliptical you can get. If you’re looking for an experience that most mimics the larger machines in the gym, choose a compact elliptical that still offers great features like the Nautilus model. Models on par with the Nautilus give you many advantages such as automatic workout programs, stability and heart rate monitoring. As far as a great workout, models in this range will give you the best outcomes. 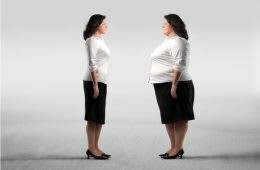 However, if it’s essential that you have a portable elliptical that you can shove in a closet, you might consider some of the foldable elliptical models or even the tiny models that don’t include the upper body portion. Many people also rave over the small elliptical machines that can be used under your desk. This is a highly personal choice. If you’d rather workout while sitting, these models offer a great option. But, you’ll miss out on the upper body workout. Ultimately, the choice of which compact elliptical to buy is a very personal choice. The Bottom Line: Which Compact Elliptical Should You Buy? 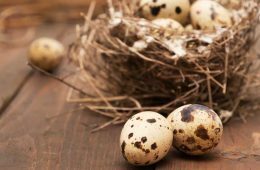 After going through the reviews and prioritizing your goals, you’ll know what kind of elliptical to get. With the many options available on the market, you’re sure to find something you’ll love. Buying home exercise equipment is a great investment in your health and will help you reach your fitness goals. The elliptical is a great choice because it’s low-impact on your joints and can offer a full-body workout. Do you already own a compact elliptical machine? Do you love it or hate it? Tell us all about your experience with compact ellipticals in the comments below. I love that “In-Motion Compact Strider by Stamina”. It is portable and movable. That resistance cord is an added advantage for me. I must get one. Jun 27, 2018 Lilith T.
I live in a small apartment so there’s no way I can go for a bigger model. The elliptical trainer from Stamina isn’t that big and it seems to have a lot of positive reviews. I’ve been doing a lot of HIIT workouts lately along with lighter pilates sessions but I do miss my cardio. This compact elliptical will help me to squeeze some cardio when I watch my favorite shows or when I’m on my phone. I’m very curious to see if I can adjust though, it’s a bit weird not having support for my upper body. Hi Usman, I agree! Let us know how you like it if you choose to purchase one. I love using the elliptical at the gym and had no idea that there were compact elliptical machines for this inexpensive. You point out how the strides are obviously smaller, but for you, has this affected the quality of the workout you feel that you get? Thanks for your wonderful and thorough article. Wow! The Cubii Pro Under Desk Elliptical looks super cool!! I have a sedentary lifestyle because I’m glued to my laptop and workstation all the time, this really is a great option to get fit while you sit. No need to change into your gym clothes either! Super awesome!